This morning a coworker offered me a tiny scoop of this stuff. Hey, good, cool. 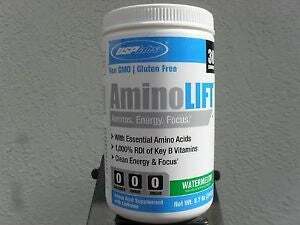 Amino acids are good for you. They ate them in The Matrix and Mouse pretended they were chyicken or tyunafish. I didn’t get quite enough sleep last night, so this should be dandy. BALLSBALLSBALLS. I feel like I just had a case of Mountain Dew. GAMER FUEL, BABY. FERGIEISMYGAMERFUEL. Now I’m afraid I’ll get liver disease. Is my blood pressure actually 180/WARP 12? Is this stuff even safe?